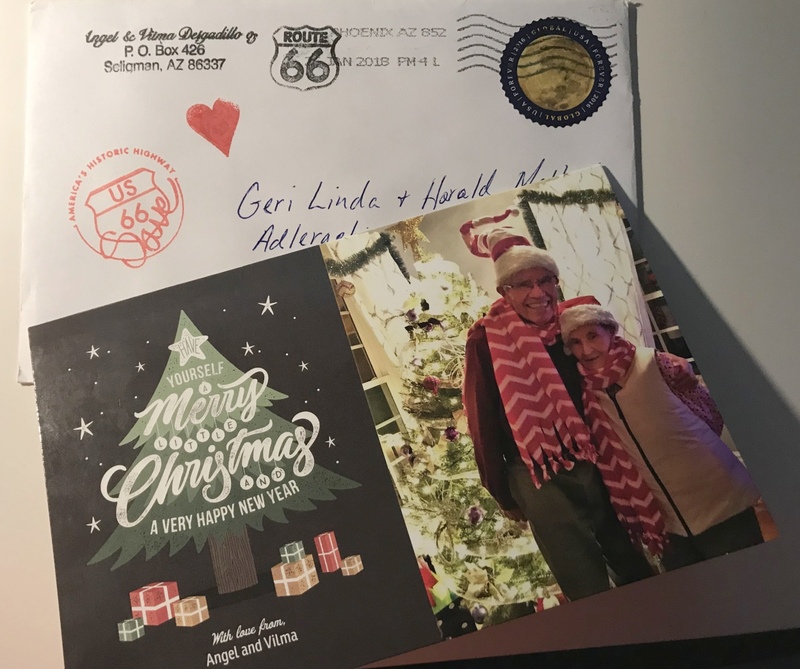 The most beautiful surprise was receiving a handwritten Christmas Card from Angel and Vilma Delgadillo and their daughter Clarissa. Thank you so much. It really means a lot to me, especially the handwritten message of your father. 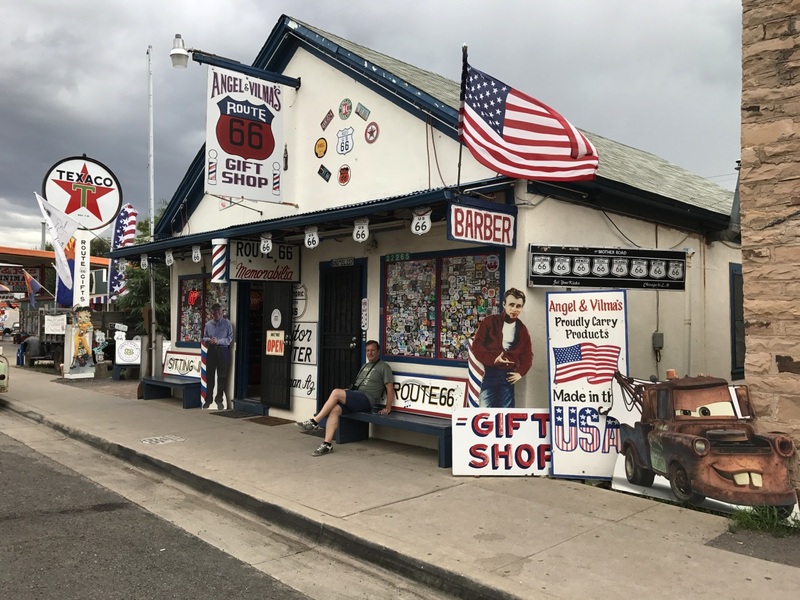 The very first person I met and talked to on the Mother Road was the Angel of Route 66, the person who made all this possible, the one who started the initiative of Historic Route 66 - Angel Delgadillo. I was so excited to meet him. 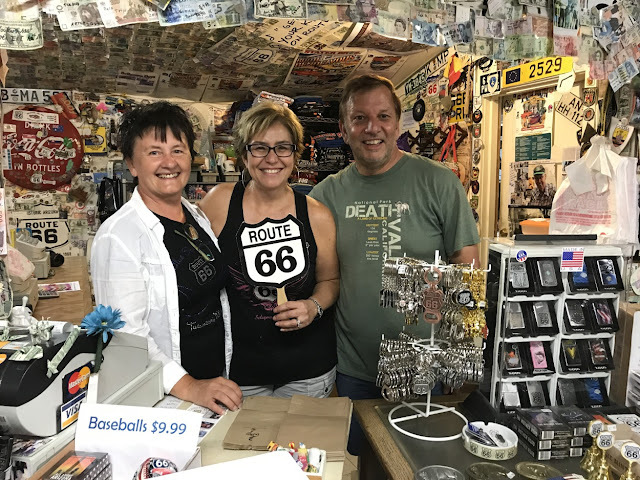 I knew Angel from a documentary about Route 66 that was broadcast on German TV, but at that time my knowledge about the Mother Road was very poor. What I knew was, that without him, Route 66 would not exist anymore. 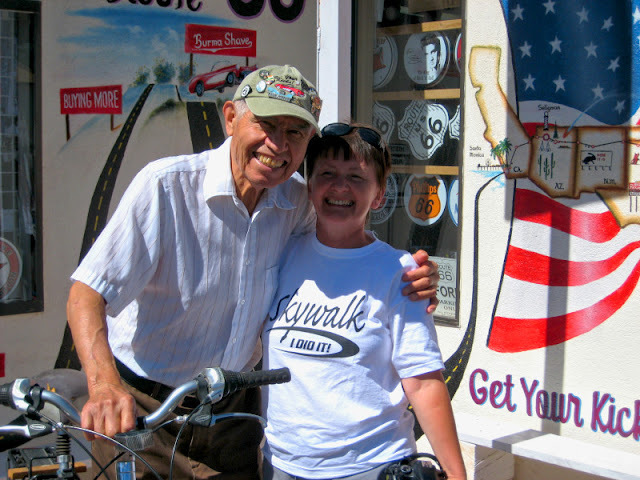 I felt so honored to meet your father on my first road trip along Route 66, the Angel and Father of Historic Route 66. And just seeing him in front of me, made me forget everything. Two years later, we stopped again in Seligman, but did not meet him. The same happened last year when we did the complete Route 66 from Chicago to Santa Monica Pier. So I did not get an autograph, that I always wanted, since our very first meeting. Thank you Clarissa for making this possible. It was the most wonderful Christmas Present of all. 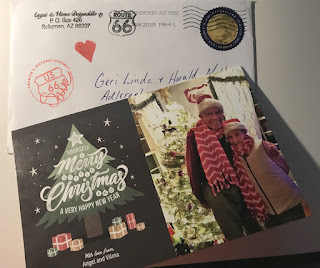 The most exciting about the Christmas card, it includes a handwritten message from the Angel of Route 66. Thank you Mr. Delgadillo. My blessings and best wishes go with you, Mrs. Delgadillo and your family. 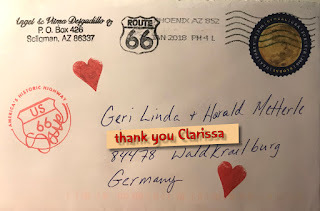 I'm so happy to have met Clarissa in the shop, who eventually made my dream come true. I feel so special to have not only your entry in my road book, but also the handwritten message of your father.